For more than 80 years our mission has been to protect animals from cruelty and neglect and serve the citizens of our community. Our UNLEASHED Charity Running Program has raised over $250,000 since the summer of 2012 which has helped save the lives of thousands of animals. 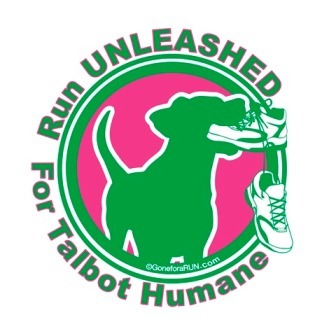 UNLEASHED is starting year 8 by supporting a local race The Salisbury Marathon/Half Marathon on April 6, 2019! Thank YOU for supporting our runners today! Donate 100% - Add 3% so that 100% of the donation goes to Talbot Humane UNLEASHED . Talbot Humane UNLEASHED has partnered with Network for Good to securely process your online credit card payment via Network for Good (tax ID 68-0480736). This transaction will appear on your credit card statement as "Network for Good." This transaction is subject to Network for Good’s Privacy, Security & Disclosure Statement and the Charitable Solicitation Disclosure.